Our highest climb of the trip, though not the hardest. 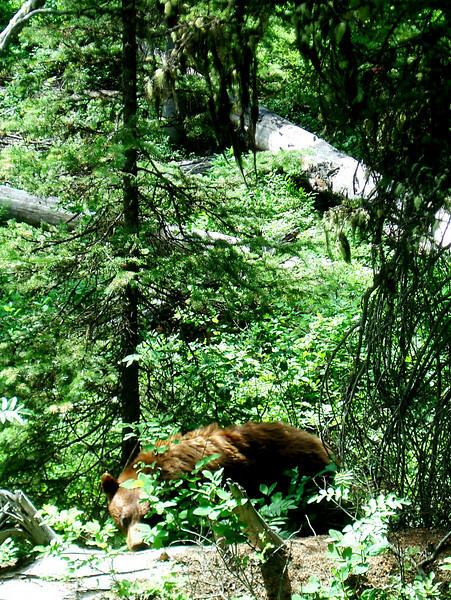 On our hike up to the high camp, we met up with a cinnamon stage black bear and cubs. She didn't seem to be too angry, so we took some pictures and quietly moved along.